On behalf of NDIA San Diego Chapter, we would like to express our deepest thanks to everyone who participated in volunteering and attending our 2018 Science Festival Exhibit booth at Petco Park. The day may have started with rain, but with your enthusiasm and imagination it was clear that nothing could rain on our parade! You helped awaken a greater interest in STEM and STEM education for many students across all socio-economic backgrounds. It is with your dedication and amazing technologies brought to our exhibit that helped us spark an interest in thousands of students and open their eyes to a world of possibilities related to STEM. 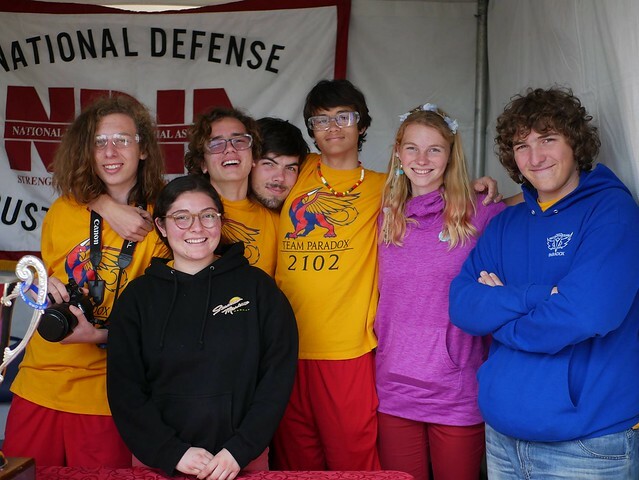 The following organizations and Volunteers participated with NDIA presenting technologies: Defense Acquisition University, CTJ Solutions, SoCal Cyber Cup, Micro USA, Fleet Science Center, EXTSI, The Ranger Group, Team Paradox Robotics and Faster Logic. The NDIA Exhibit booth was well attended by thousands of Students and Parents. Students learned about Military Unmanned Aerial Vehicles, 3D Printing and Additive Manufacturing, the technology needed to build and control Robots, how Robots can help us with our Jobs, with a hands on demonstration of a Quad Copter, as well as Cyber Security. In addition the volunteers asked the kids thought provoking questions about their school, education, and career desires. It has been our absolute pleasure working with you and we sincerely appreciate your time, energy, and commitment to NDIA and the San Diego Festival of Science & Engineering!